2016 Homes Sales Start Off With a Bang! Homes sold through the Columbia MO MLS are off to their strongest start ever. 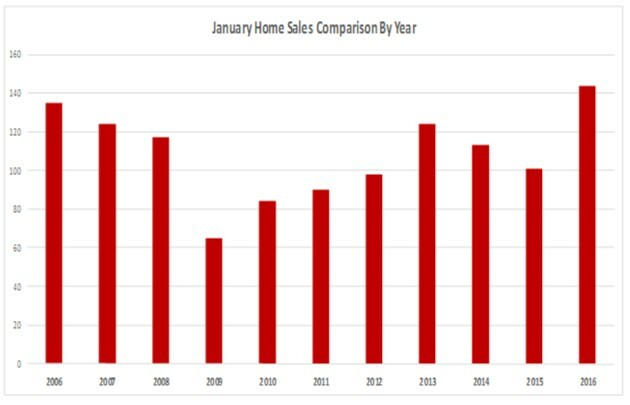 January 2016 home sales were up almost 43% over January 2015. See the chart below. 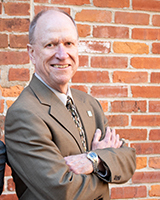 If you or someone you know is interested in buying or selling real estate in the Columbia, MO area, please call or text me at 573-268-3622 or email me at sstrawn@realtor.com. 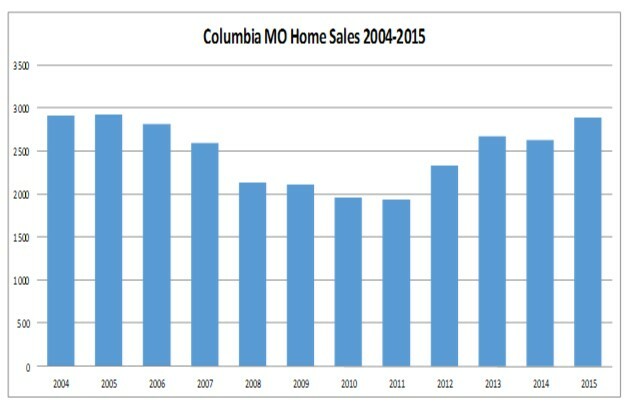 2015 was a great year for home sales in the Columbia MO real estate market! 2015 home sales as reported in the Columbia Multiple Listing Service were over 10% higher than sales in 2014. The total number of homes sold was 2886 units which represents 266 more properties than were sold in 2014. 2015 sales were only 35 units short of the record sales mark set in 2005. It is an excellent time to buy, sell, and own real estate in Columbia, MO and the surrounding areas in Mid-Missouri. In most markets including ours home values are rising, interest rates are low, and buying a home is a considerably cheaper than renting. If you or someone you know is interested in buying or selling real estate in the Columbia MO area, please text or call me at 573-268-3622 or email me at sstrawn@realtor.com. 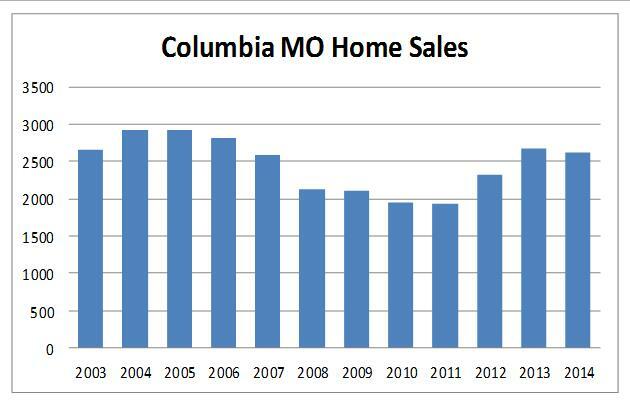 2013 home sales in the Columbia, MO real estate market were up almost 15% over 2012. Our local MLS database recorded 2670 homes sold which reflects the highest number of homes sold in our market since 2006. 2014 homes sales were down slightly with 2620 homes sold which is about 1.87% behind 2013. Nevertheless, that is the second highest number of homes sold in our market since 2006. It continues to be an excellent time to buy, sell, and own real estate in Columbia, MO and the surrounding areas in Mid-Missouri. In most markets including ours home values are rising, interest rates are low, and buying a home is a lot cheaper than renting.